Lallemand offers a specialized range of Fermentation NutrientLallemand Fermentation Nutrients Ingredients (FNIs... More Ingredients (FNIs) that can help you achieve higher counts of your probiotic, dairy cultures and bacteriological cultures. Our FNIs can be used for large microbial media cultures as well as for fastidious bacteria and fungi that require more specific nutrients. Lallemand is also a leading expert in processing microbial cultures for food industries and bioagriculture; having an extensive experience and knowledge of nutrients requirement for these cultures. Lactobacillus bulgaricus is one of the two main microorganisms (along with S. thermophilus) used to produce yogurt. Cultivating the strain alone would be a fastidious challenge, needing expertise in strain nutrient requirements. By using Lallemand Bio-Ingredients’ FNILallemand Fermentation Nutrients Ingredients (FNIs... More 800 and FNILallemand Fermentation Nutrients Ingredients (FNIs... More 105 in your culture media, you will more easily achieve optimal biomass yield with the essential growth factors of B- vitaminsVitamins are a type of organic micronutrient that ... More and nucleotidesNucleotides are organic molecules composed of nucl... More. 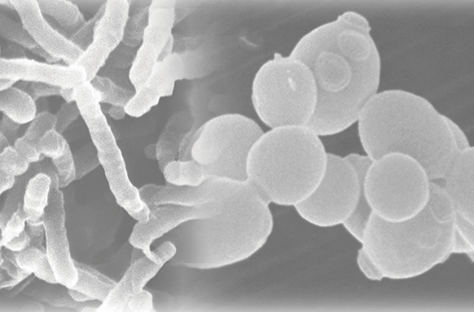 Lallemand Bio-Ingredients has worked on developing yeastYeast is a unicellular fungus that can convert sug... More nutrients that would achieve a high count and a high sporulation rate with Bacillus species and fungi. According to our studies, FNILallemand Fermentation Nutrients Ingredients (FNIs... More 103 has shown a positive effect on biomass and sporulation rate, including toxin production. During yeast extract production, the endogenous natural enzymes breakdown the yeast components into smaller molecular weight compounds such as peptides and amino acids. The process is called autolysis. Lallemand offers ultra-clear yeast extract, FNI 110, with high solubility, excellent filtration and low endotoxin levels, ideal to promote the growth of target microorganisms. Our company also produces a high quality yeast peptone rich in nucleotides which is recommended for auxotroph purines and pyrimidines bacteria, as well as for Lactobacillus. Yeast peptones are produced by inactivating the natural enzymes endogenous in yeast cream and then by adding enzymes. This process, called hydrolysis, allows the concentration of specific bioactive compounds such as peptides, amino acids, and nucleotides. After the hydrolysis, the soluble yeast peptone is recovered by separation of the insoluble fraction. Autolyzed yeast are produced by inactivating the natural enzymes endogenous in yeast cream and then by adding enzymes the soluble fraction. After the hydrolysis, the yeast slurry is simply dried without separation of the cell wall material. Therefore, contrary to the yeast peptones, yeast autolyzates contain the soluble proteinaceous compounds as well as the cell wall material. Lallemand autolyzed yeast has been shown to support the growth Lactobacillus and other bacteria. Products are also suggested for adding enzymes in second metabolites production.